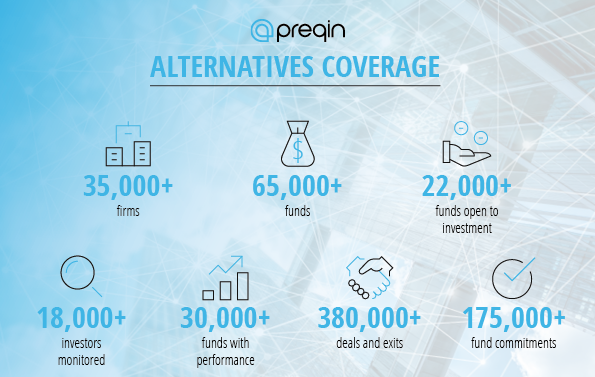 Since 2003, Preqin has been the alternative assets industry’s most reliable source of comprehensive data, insights and valuable tools. Our data forms the heart of everything we do, and it is our people who enable us to offer the most reliable, accurate and comprehensive alternative assets data available. We currently have almost 300 researchers who speak 26 different languages. Because of this, we are closer than ever to the industry we report on, and our data is second to none. Our primary and preferred method for sourcing data is via direct communication with industry professionals, either by phone or by email. We believe this is the most trustworthy and reliable way to obtain information, and it allows us to build long-standing relationships with our partners. It also means that we provide unique information not available anywhere else. We also have an online data contribution portal, which allows firms to update the data we hold on them at a time that is convenient for them. Over 4,000 firms regularly contribute data via this portal. As a business, we also attend hundreds of industry events each year. This allows us to meet with alternative investment professionals in person and obtain vital information we feed into our data platform. It also helps us to keep a finger on the pulse of the industry. In addition to direct communication as a method of updating our data, we also use web research techniques to cross-check this information and update our records for particularly secretive firms. AI and machine learning technologies allow us to conduct rapid and extensive public data research and to identify relevant information for further review by our skilled analysts. We closely monitor each firm’s website for updates to their investment strategy as well as scour SEC filings. Preqin’s researchers also track top-tier news outlets on a regular basis. The Freedom of Information Act (FOIA) remains vitally important to Preqin as a method of obtaining transparent fund returns data. Since the inception of the database, we have collected thousands of performance figures from institutional investors through FOIA requests. Ensuring the quality of our data is at the core of our operations at Preqin. The data we collect is consistently checked and verified by our dedicated teams. Coverage is only half of the story – our profiles are peerless in terms of depth, exclusivity and comprehensiveness. Find out for yourself: request a demo today and we’ll show you how our data can help you.